This waterfront site at Matanzas Pass has been the North entrance to Estero Island for land traffic since 1921. 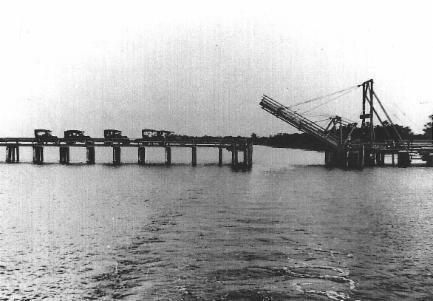 The first wooden drawbridge connected to the mainland on the opposite shoreline. Cars would travel McGregor Blvd. to John Morris Road, then traverse the sandy roadway, stopping to pay the 54 cent toll to cross Estero Bay to what was then called "Crescent Beach". In 1926 a devastating hurricane washed away the first bridge, and created San Carlos Island by opening the aptly named "Hurricane Pass" and creating the need for another bridge to reach the island. 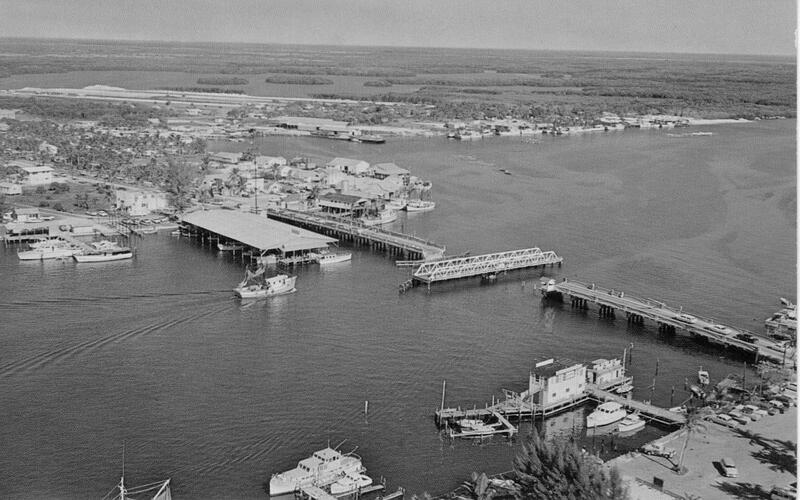 The second drawbridge replaced the first and was fondly known as the "Swing Bridge", as seen here with San Carlo Island in the background, and Fort Myers Beach in the foreground. 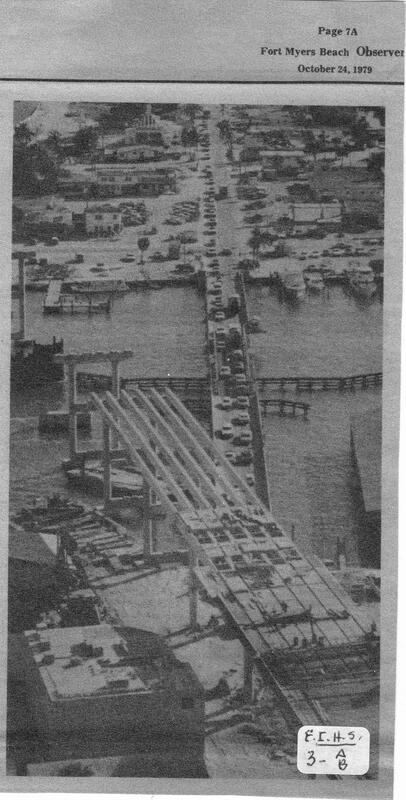 In 1978 the swing bridge was removed to make way for the current Matanzas Pass "Skybridge", seen here under construction, looking west. 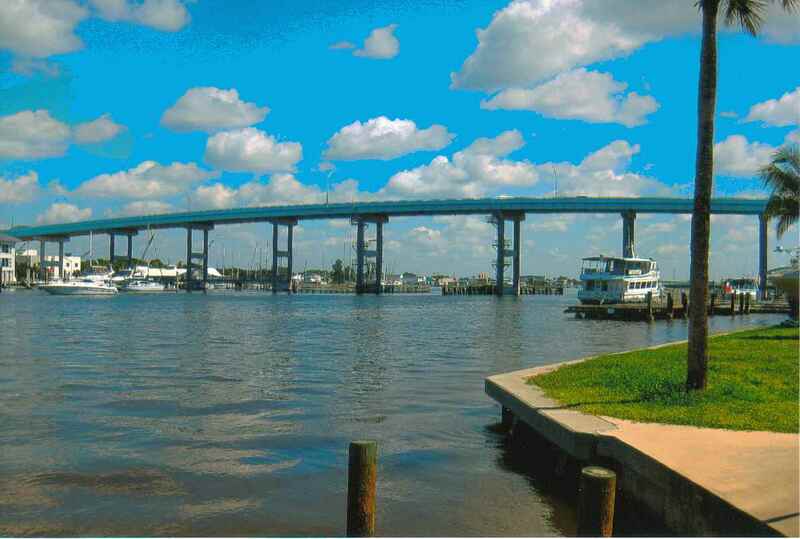 By 1979 the present bridge was completed, welcoming all to Estero Island's paradise.